Located in the main street of the township of Beechworth, this circa 1870’s pub has been re-invented, with new owners breathing a new life into an old country Victorian Pub. Empire Hotel offers contemporary menus for lunch, bar fare and dinner seven days a week. The ground floor bar and lounge areas are spacious, light and airy, with polished original Baltic pine floors, some quirky, contemporary fittings, and a Chesterfield lounge setting around the granite fireplace that provides a welcoming space for an intimate gathering. 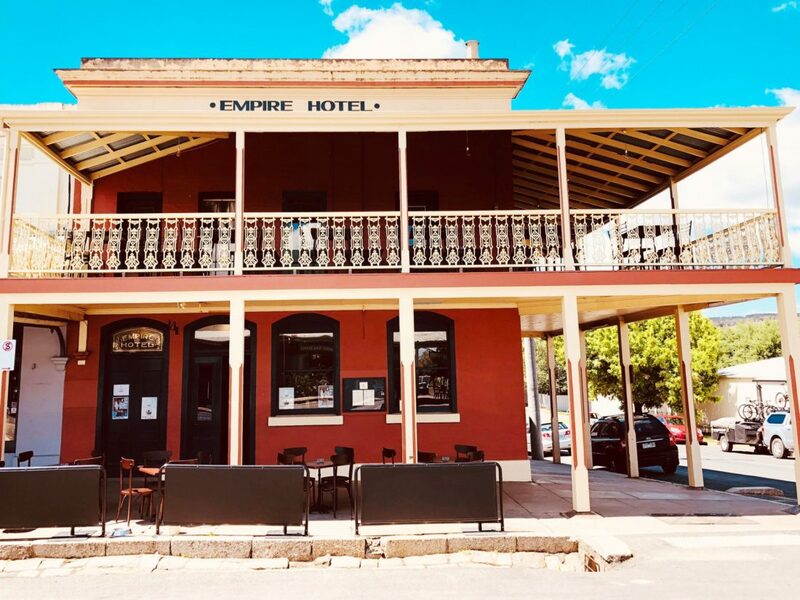 Along with a range of regional boutique beers and ciders, The Empire is proud to list offerings from each and every one of Beechworth’s vignerons, and the redboard cocktail list is inspired. The upstairs balcony offers beautiful views over the streetscape of Beechworth.